The Today Programme and The Guardian have today (Monday 11 February 2019) both covered the launch of a report by Bob Seely MP and James Rogers from the Henry Jackson Society about Global Britain – and the future of the aid budget. · the Department for International Development (DFID) and Department for International Trade (DIT) should be folded into the Foreign and Commonwealth Office. 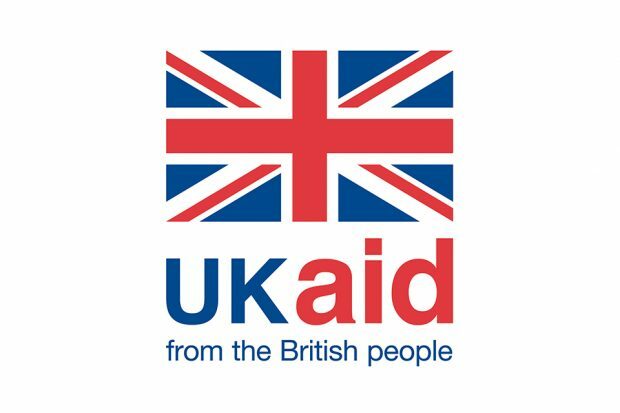 The UK government has committed to spend 0.7% of our national income on aid or Official Development Assistance (ODA). This commitment, enshrined in law, contributes to Britain’s reputation as a development superpower. In meeting this commitment, DFID seeks not to just spend money well, but to show it could not be spent better in the national interest. We must maximise the good we do with what money we have. The UK, through its aid budget, is seeking both a great impact for developing nations but also a direct positive result for the UK too. We must demonstrate that the money we are spending could not be spent better in the interest of the people we are trying to help - and in the national interest. UK aid is stabilising conflict zones where terrorists and extremists could otherwise thrive. For example, DFID is supporting Iraq as it rebuilds following the conflict with Daesh, increasing political stability, security and prosperity in the region. This benefits both the UK and the Iraqi people. British scientists are also at the forefront of global efforts to tackle anti-microbial resistance, which is helping both the UK and developing countries. The UK is also leading the way in tackling illicit financial flows which enable global criminal gangs to operate. Our aid spending follows international rules set by the Development Assistance Committee (DAC). These rules ensure aid spending is genuinely focused on poverty reduction in developing countries. They also provide a consistent measure of aid spending and identify which donors are credible. Where the UK considers the rules – established over 40 years ago - to be outdated, we have led the way in pushing for reforms. For example in October 2017 the UK secured an increase in the proportion of aid spending which can be contributed to peacekeeping missions. This increased from 7% to 15%. UK leadership also helped change the rules on restrictions to Britain’s aid support to countries affected by crises and natural disasters. Countries which were viewed as too wealthy to apply for aid could be eligible for it in future if their economies fall below the World Bank High Income threshold. The International Development Secretary is currently seeking to modernise the DAC rules around profits made by publicly-funded financial instruments. She has said that In future years, as the amount of funding coming back into our own development financial instruments increases, we should be open to using the profits to count towards the 0.7%. The new chair of the DAC is Susanna Moorhead, who is from the UK and has previously worked for DFID. She was most recently the British Ambassador to Ethiopia and Djibouti. On the Bob Seely report’s point about the BBC World Service, UK aid already supports this. The UK government is investing £291 million during the 2016-2020 period to support the BBC World Service. A significant proportion (over 75%) of that funding is Official Development Assistance. DFID is a standalone department, but works closely with other departments which spend aid, including the Foreign Office, the Department for International Trade, the Ministry of Defence, the Department for Business, Energy, Innovation and Skills, the Department for Health and Social Care, the Home Office and many other departments. Together these government departments ensure UK aid both reduces poverty and supports the UK national interest. For example UK aid is supporting diagnostic tests for TB, originally for the developing world, but now in use by the NHS. We are lifting millions of the world’s poorest people out of poverty around the world, and at the same time we are supporting the UK’s national interest.